Proprietors: Birchpine Ltd T/a Alan Heath & Sons. 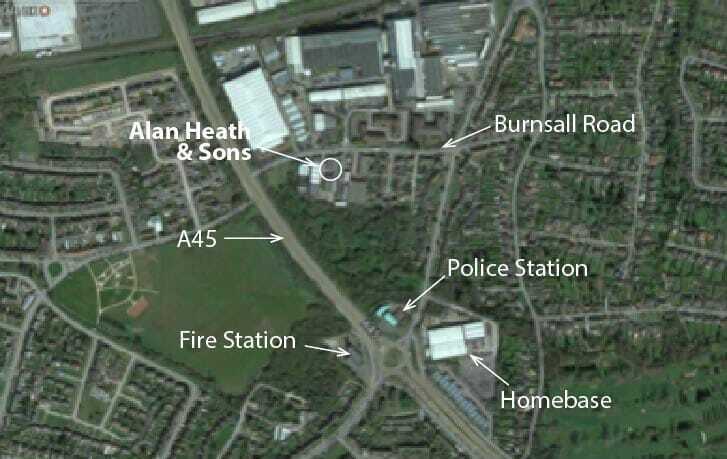 At the island on the A45 with the Fire station, Police Station and Homebase around it, take the exit that takes you between the Police Station & Homebase. The first left is at the top of the hill which is around 500 metres from the island. Turn left into Burnsall Road. Again around 500 metres down the road is an entrance to Fletchworth Gate on the right hand side. 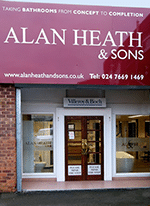 Our Showroom is opposite Fletchworth Gate on the left hand side. If you have come down the A45 past Sainsburys, once over the bridge turn left into Burnsall Road. The entrance to Fletchworth gate will be on your left and the entrance to our Driveway is opposite on the right hand side. We always endeavour to provide the best service and products for our customers. However, on rare occasions, we recognise that there may be times where our customers may not be completely satisfied. To ensure we are able to put things rights as soon as we can, please read our complaints procedure here and we will respond promptly to ensure complete satisfaction.